Traffic Advisors are the versatile answer to alert oncoming traffic with a visual warning and correct direction or signal with bright, signal sequencing. Professional and special use vehicles can be fitted with models for rear window deck, built into lightbars or with outside mounted large arrows that can be seen at much greater distances. Incredibly bright TIR3 Super-LED modules. Six or eight light array. 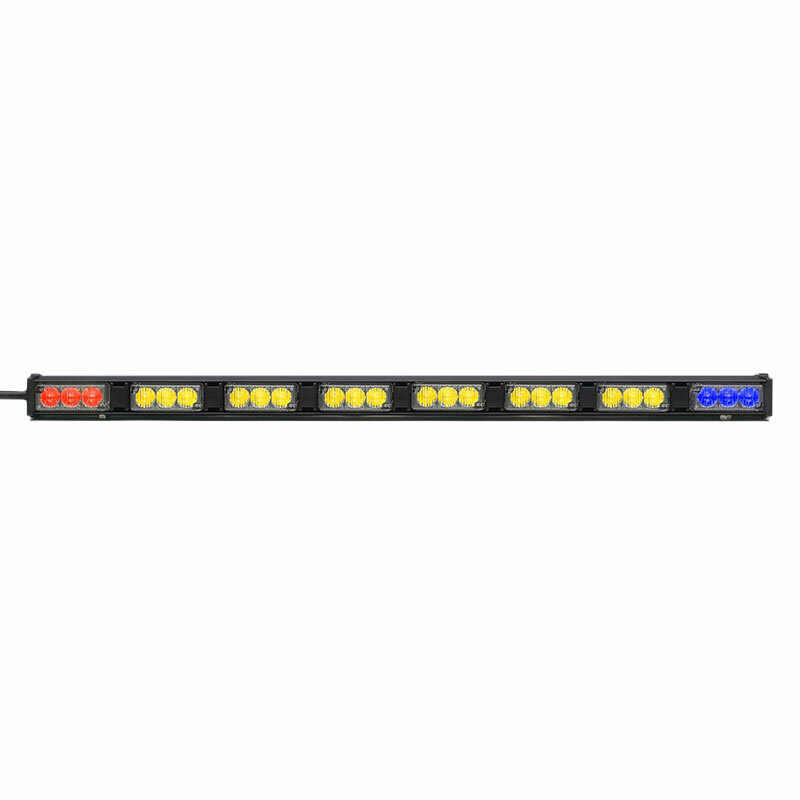 Six light array with two end flashing modules. Six direction sequences and 10 Scan-Lock flash patterns. 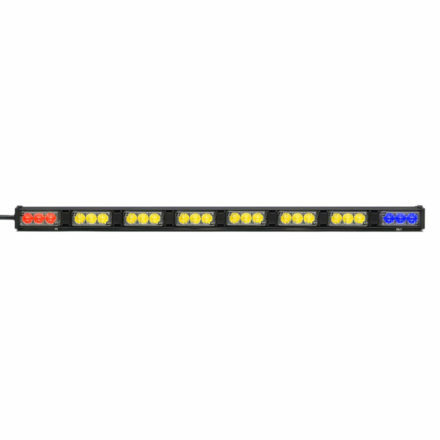 Requires customer supplied switches or Whelen®’s optional control head (with blanks for optional switches available for other warning light requirements). Small diameter 4 or 6 conductor #20 AWG wires.